May. 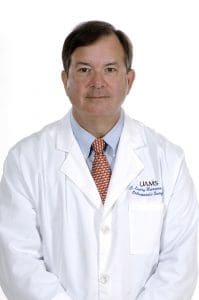 9, 2018 | May 9, 2018 | C. Lowry Barnes, M.D., an orthopaedic surgeon, professor and department chair at the University of Arkansas for Medical Sciences (UAMS), has been inducted into The Hip Society, a national organization dedicated to the advancement of knowledge relating to the hip joint. Its members are recognized thought leaders in the field of hip surgery.